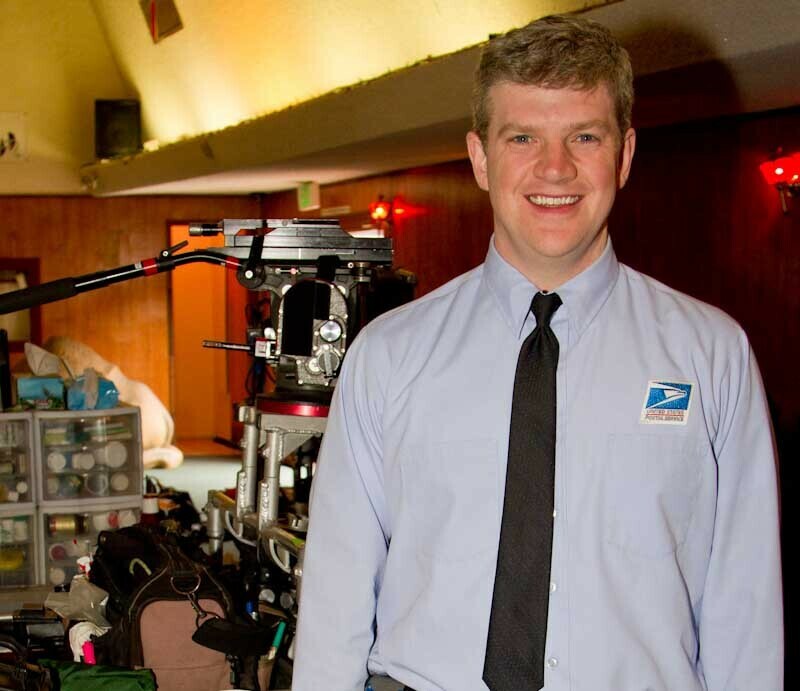 You'll visit the Hollywood set of the newest Postal Service commercials to meet the actor who portrays "Al the Letter Carrier" on this month's edition of Your Postal Podcast. The new television ads begin airing this week, and Your Postal Podcast has an exclusive behind-the-scenes interview with Mike Bradecich, who has now filmed 19 commercials as "Al." The latest ads promote USPS's Every Door Direct Mail service. This month's other feature story celebrates a New Hampshire mail handler's postal career that spans seven decades. You'll also hear a brief roundup of recent postal headlines. Thanks for listening -- and don't forget to also visit www.YourPostalBlog.com for daily updates about all things postal. Photo: Mike Bradecich takes a break from filming his latest USPS commercial in Los Angeles. Click here for a transcript of YPP v.46.